Embroidered Baseball Caps available with your logo or text! 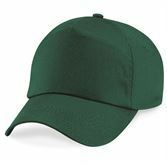 We sell embroidered baseball caps,beanie hats and more. Quantity discounts on orders over 10.